Pierce skin of potatoes with fork and microwave pierced potatoes on high for 12 minutes. Place partially baked potatoes in preheated oven and bake for 15 minutes. Slice off potato tops; scoop out bulk of potato interiors being careful to leave potato skins intact. In a medium bowl, mash removed potato interiors. Heat a small skillet over medium heat; stir in butter. Saute onions in skillet until tender (about 5 minutes). Combine onions, broccoli, and ranch dressing with mashed potato. Brush outside of potato skins with oil. Spoon potato mixture into skins. Arrange stuffed potatoes on a cookie sheet. 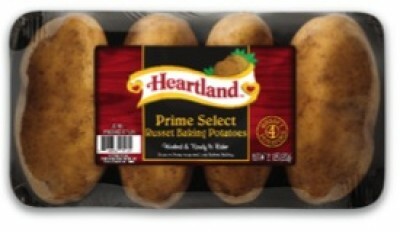 Bake potatoes for 15 minutes in preheated 425 degrees F (220 degrees C) oven or until heated through. Season with salt, pepper, and parsley.